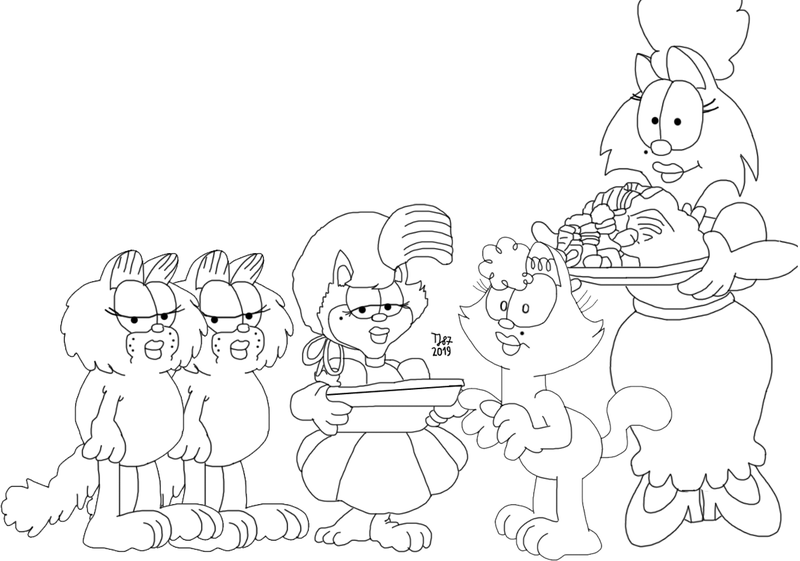 One of my pen friends has convinced me to draw Garfield's dates from Garfield and Friends in their original looks. Here is the sketch, a colored version will appear this week. All the depicted characters belong to PAWS Inc.